Xiaomi propose un appareil sans fausse note ou presque, le Xiaomi Redmi Note 5 Pro fait peu de compromis. Un bel écran, un design soigné bien qu’un peu banal, un prix agressif, de bonnes performances, de belles photos et une autonomie confortable sont ses gros points forts. Of course, it’s extremely tough to lay your hands on one and it shall be for at least a few more weeks. But if you visit one of the Xiaomi Mi Home stores, you shall be able to pick your choice of RAM variant in your choice of color. The Redmi Note 5 Pro is worth every penny if you take all the things into the consideration. There are almost no other smartphones at this price that offer what Redmi Note 5 Pro has to, take the dual camera package and the 20 MP selfie camera or the Snapdragon 636, 6 GB RAM patched with a huge 4,000 mAh battery to run all day. Should you buy the Redmi Note 5 Pro? Yes! Without a doubt, this is one of the most powerful mid-range devices around. Between the Snapdragon 636 chipset, the fresh design ID and the absolutely fantastic battery life, the phone delivers the goods. Add to that a camera that punches above its weight and you’re looking at a rather brilliant package. The only issue? Good luck finding it. The Redmi Note 5 Pro is priced at Rs. 13,999 for the 4GB RAM variant while the 6GB RAM variant is priced at Rs. 16,999. It is available exclusively from Flipkart as well as Mi.com and Mi Home Stores. If you’re looking for an affordable smartphone with a good set of cameras and powerful innards, the Redmi Note 5 Pro is one of the top options on the table. Of course, you’ll also want to keep other options open because it’s notoriously hard to buy anything in Xiaomi’s flash sales, where stocks are sold within a few seconds each week. Over the last couple of years, Xiaomi has managed to set a new benchmark on what a smartphone should deliver with every new smartphone that it has launched. And with the Redmi Note 5 Pro, the company has managed to once again set the bar even higher. The Redmi Note 5 Pro stands true to its ‘Pro’ moniker and excels in almost every aspect, including camera performance which has usually been a sore point for Xiaomi devices. Currently, the Xiaomi Redmi Note 5 Pro is only available in India, but we were told by Xiaomi that a global variant of the phone will be coming very soon. If that’s the case, there’s a very good chance the phone will make its way into Malaysia, and that’s very welcome news. The Redmi Note 5 Pro is Xiaomi's strongest showing in the budget segment in the last two years, and puts the brand in a great position as we head into the launch cycle for 2018. The 18:9 display is a much-needed change to keep the device competitive, and the Snapdragon 636 ensures class-leading performance for the foreseeable future. Xiaomi Redmi Note 5 Pro does come with solid specifications and performance is decent as well. The display looks good, but lack of app scaling option leaves the black screen. The camera does a good job in most cases and the bokeh effect surely looks good. The battery is impressive and the user interface is lighter. The user interface does have a fair share of drawbacks and it is not one of the gorgeous-looking smartphone available in the market. To conclude, the Xiaomi Redmi Note 5 Pro turns out to be a pretty interesting device if you are ready to bear with its negatives. 80% Redmi Note 5 Pro: Is Xiaomi’s new phone worth the price? If you have the Redmi Note 4 or even the older Redmi Note 3, upgrading to the Redmi Note 5 might not be so appealing, given the processor is still Qualcomm Snapdragon 625. The Redmi Note 5 Pro has a lot more points in its favour, including the better processor, improved camera with newer features and yes that big display. 84% Xiaomi Redmi Note 5 Pro Review- The Beast! Priced at Rs 13,999 for the 4GB RAM variant, the Redmi Note 5 Pro ticks all the right boxes for a good mid-range allrounder with good design and build, great display, excellent performance, best in class camera and good battery life. While there are some minor issues like lack of Oreo at launch and the hybrid slot along with lack of type C port, these can be easily forgiven for the excellent value the device offers. If you are looking for a smartphone below Rs 20,000 in India, the Redmi Note 5 Pro is a worthy choice. The Xiaomi Note 5 Pro is hands down a great phone. It has a powerful processor and a good camera, not just on paper but in experience as well. The FHD+ display in an 18:9 aspect ratio is an added perk. The device comes in two storage variants of 4GB RAM and 64GB internal storage at Rs 13,999, which is dirt cheap for the kind of specs it offers. The Redmi Note 5 Pro is the eventual evolution of the Redmi Note series. It may be priced a bit higher in the budget to mid-range segment, but its performance easily makes up for its price hike. Add to this is brand new chipset and it takes down the Honor 7x, Honor 9i, the Moto X4, Vivo V7 Plus, Coolpad Cool Play 6 and even the Oppo A83. The Redmi Note 5 Pro will be available in India starting from 22nd February on Flipkart, Mi.com, and Mi Home stores, and then, in offline stores later. It is priced competitively at ₹13,999 for 4 GB variant and ₹16,999 for 6 GB variant. Combined with the launch offers, the Redmi Note 5 Pro will entail Rs2,200 cashback and 100% Jio 4G data. As for the competition, we like the look of the Honor 9 Lite but the Redmi Note 5 Pro has a leg up in some key areas such as camera and battery life and as such would be our pick of the two. What we would personally like to see is an Android One version of this phone, but we wouldn't be holding our breath for that. The Xiaomi Redmi Note 5 Pro offers plenty of reasons to spend that extra bit of money over the Redmi Note 5. The list of improvements includes a better set of cameras, slightly better battery life, and a more powerful processor - all of which make the usage experience just a bit nicer. The weight of the phone is something you will have to get used to, and even though it isn’t very striking to look at, the build quality is solid. We love the new taller display, which is sharp and has very good sunlight legibility. All of which makes the Redmi Note 5 Pro the latest topping on what is already a very crowded mid-segment phone pizza menu. But given what it brings to the table, we are sure that many will opt for it. There is not too much it gets wrong and a lot which it gets absolutely spot on. We would say that if the Note 5 is the nominal successor to the Note 4, the Note 5 Pro is its spiritual one. Used a Redmi Note 4? Then THIS is the upgrade you were really looking for. But with great power also comes great responsibility. While good hardware is always appreciated, good hardware with dated software is also frowned upon. You can be X, Y or Z, it really doesn't matter. Simply because hardware can only take you so far. A great number of deeds done by Xiaomi -- in the past -- have revolved around it paying heed to consumer demand. And consumers are making their stand clear: they also want good -- read updated -- software. It's about time, Xiaomi starts thinking about that aspect too. The Xiaomi Redmi Note 5 Pro is currently the best smartphone you can buy in the sub 15K segment. It offers excellent performance, has a two-day battery life, both front and rear cameras are good and it has a sturdy build quality. The Redmi Note 5 Pro I call the handset made with everyone in mind, reason being, its powerful, the camera is excellent, hardly heats up, great for gamers and not to forget the battery life up to 2 days. This is one phone you can recommend to just about any one, without asking for specifics. Positive: Good price; decent cameras; nice performance. Positive: High performance; nice cameras; long battery life; excellent display. Positive: Good price; elegant design; large screen; long battery life. Positive: Nice display; good hardware; large battery capacity; decent cameras; fast fingerprint sensor. Positive: Decent performance; large screen; nice display; high autonomy; good dual cameras. Negative: Combined slot; no NFC. Positive: Nice performance; thin frames; large display; high autonomy; good dual cameras. Negative: Combined slot; no NFC. Positive: Good price; impressive design; large screen; nice display; powerful hardware; decent cameras. Model: With a weight of 181 g and measured at 158.6 x 75.4 x 8.1mm, the sleek, yet sophisticated Xiaomi Redmi Note 5 Pro, was first released on February, 2018. Xiaomi has been noted as the king of the Indian smartphone in the smartphone market exceeding the Chaebol during the fourth quarter of 2017. It is cloaked with a front glass, aluminum body and offers an alternative range of colors; such as black, champagne, gold, rose gold, and lake blue. It comes with 64 GB storage and a microSD card slot up to 256 GB that uses SIM 2 slot, and hybrid dual SIM (Nano-SIM, dual stand-by). Its capacitive IPS LCD touchscreen features 16M colors, a resolution of 1.080 x 2.160 pixels, and an aspect of 18:9. The Redmi Xiaomi Note 5 Pro also works on a multi-touch function and is protected with a 2.5D Corning Gorilla glass that provides resistance to wear. It runs also on Android 7.1.2 (nougat) operating system and a 1.8 GHz Kryo 260 octa-core CPU, which greatly advances the overall performance and power efficiency of this device, and an Adreno 509 GPU. It also contains a Qualcomm SDM636 Snapdragon 636 chipset, which proves the belief that it is noted to be the fastest Redmi Note to date. The Snapdragon 636 tops is up to 40 percent faster than its predecessor. Moreover, the internal storage capacity is 64 GB and the RAM capacity is 4 or 6 GB RAM. The main highlight of the Xiaomi Redmi Note 5 Pro is its 12MP + 5MP dual camera with phase detection autofocus and an LED flash. It delivers high-quality images, even in low light conditions and is probably one of the best cameras in this price range. 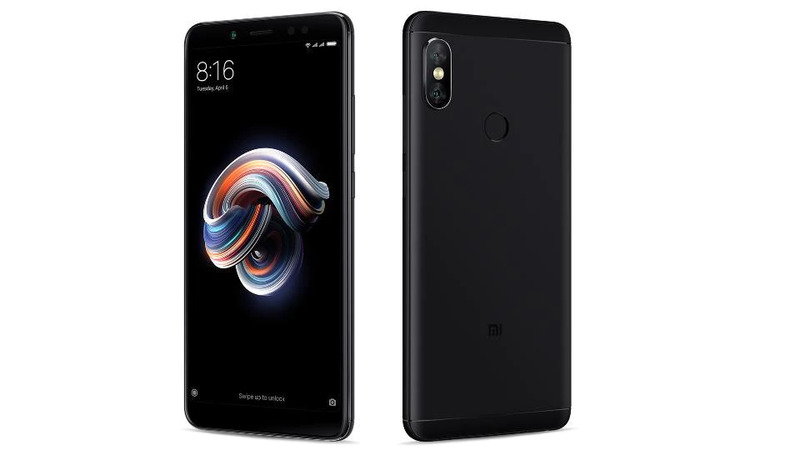 The Xiaomi Redmi Note 5 Pro, which is noted to be the top-selling smartphone in Indian smartphone market by the end of the third quarter in 2017, also features Beautify 4.0, which is based on an Al-based technology. It will immediately detect facial features to natural enhance any face with its many functions. 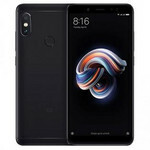 An added bonus of the Redmi Note 5 Pro is that, it is accompanied with a Faceblock feature that unlocks the Xiaomi Redmi Note 5 Pro just by recognizing a user’s face upon turning on the screen, which is done in less than 0.2 seconds. Its connectivity includes WiFi, Bluetooth, GPS, and FM radio. The Xiaomi Note 5 Pro brings flagship smartphone features to a near entry-level price point. Like all the previous Note series, the Redmi Note 5 sets the benchmark for the budget friendly smartphone category. Qualcomm Adreno 509: Integrated graphics card in the Snapdragon 636 SoC based on the Adreno 500 architecture. Most likely featuring a slightly higher core clock compared to the Adreno 508. Only some 3D games with very low demands are playable with these cards. » Further information can be found in our Comparison of Mobile Graphics Cards and the corresponding Benchmark List. 636: Mid-range octa-core SoC with eight Kryo 260 cpu cores at up to 1.8 GHz, an Adreno 509 GPU, a LPDDR4-2666 memory controller and a X12 LTE (Cat 13/12, 300 / 150 MBit) modem. Manufactured in the modern 14nm process.» Further information can be found in our Comparison of Mobile Processsors. 82.73%: This rating should be considered to be average. This is because the proportion of notebooks which have a higher rating is approximately equal to the proportion which have a lower rating.